We please anyone from the artist with a funky streak to the engineer who demands balance, detail and symmetry. From the basic, well-known and widely-circulated catalog piece to whatever suits your whim of the moment, Plymouth Jewelry & Gifts can recreate, tweak, modify or build upon any idea or configuration you have, to create traditional and one-of-a-kind masterpieces you’ll be glad to showcase. Rings, pendants, earrings and accent jewelry can be created to fit your mood, lifestyle and tastes. Imagine the possibilities! When creating your custom piece, your involvement is key. 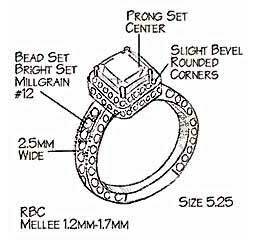 After all this is your custom piece of jewelry and we want you to involved thru the entire process. You start with a consultation with our designer. Details about what you like and dislike are discussed. 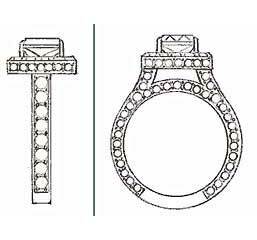 What type of stones you like, what cut, and type of setting. Our designer listens and begins to render an illustration. The illustration is refined according to your comments and final details are decided upon. 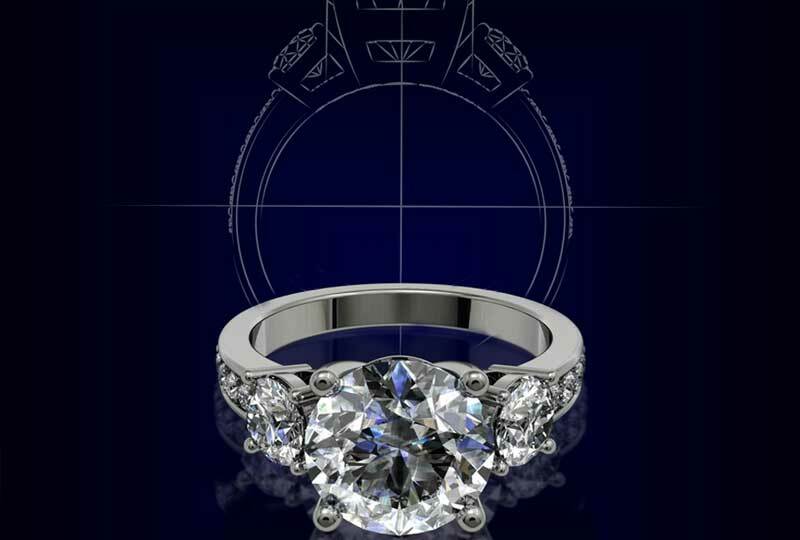 This is when you will decide on: number of stones, width, height and style of setting, and choice of metals. After all details are decided upon the illustration is updated for your approval. Stage I: Beginning wax block marked and scribed. Stage II: 25% – 30% complete shaped for detail. Stage III: 75% complete shaped for detail. Stage IV: Complete wax ready for customer approval. Once the final illustration is approved by you, our designer begins work on your custom creation.. Finished piece arrives, stones are set, metal is polished and cleaned and is ready for pick up. Even at this point minor modifications can be made so that you are completely happy. During the entire custom design and creation process you are encouraged to participate so that you are comfortable and pleased with the final results. 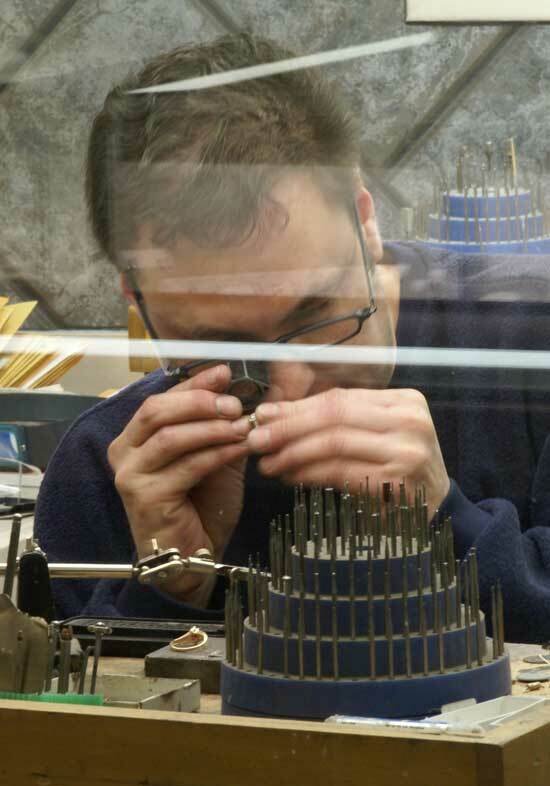 Contact us today about creating your one of a kind treasure. Our commitment to quality and customer service has earned us our reputation. 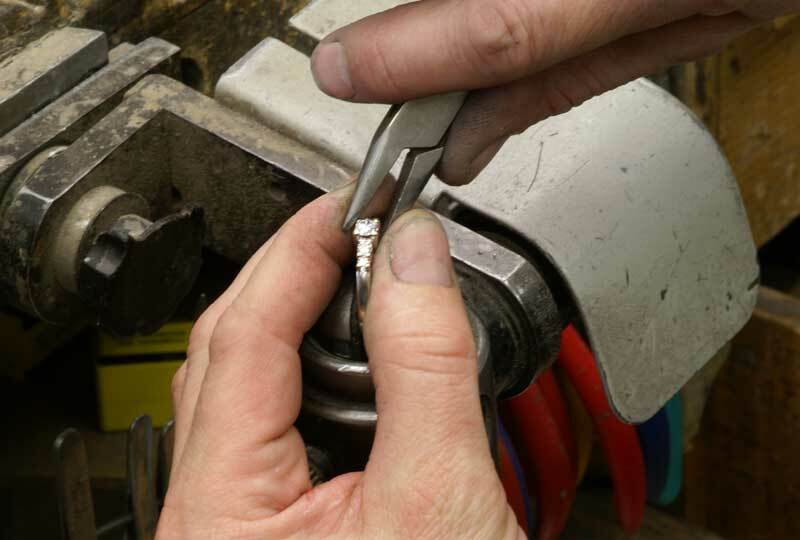 At Plymouth Jewelry & Gifts, we offer our customers a wide range of services to meet their needs. 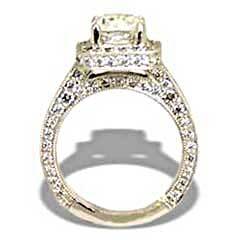 Contact Plymouth Jewelry & Gifts today to speak to one of our highly qualified associates.